The following companies provide complte software solutions utilizing IBC Products. CI Solutions, Card Integrators Corporation, is the leader in providing card integration solutions for over 20 years. We are dedicated to providing the best products, professional service and responsive personnel in the industry. CI Solutions serves all levels of education from pre-school through higher education, health/fitness, government, special events, entertainment, corporations, hospitality, healthcare, law enforcement, wineries, and many other market segments. CI Verify is a check-in/verification software program that provides the ability to verify who someone is and do they belong. CI Verify has the ability to be used as the interface to access control devices such as doors, turnstiles, gates and alarms; with interface to the IBC J Series reader/relay devices. Organizations can now have on-screen, positive identification and account status verification at any location in their facility and also manage access to the facility. Highpower Security Products is an American manufacturer of High Performance Access Controls and Security Equipment. Our company also provides design assistance of complete Access Control Systems. 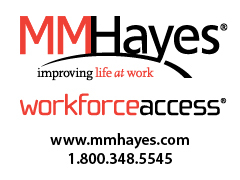 MM Hayes is a certified Kronos partner and leading software provider of workforce management, cashless payment, and access control systems. Workforce Access is a powerful access management system that can monitor entrance and exit points to any part of your facility - giving you complete control that is seemlessly integrated with existing Kronos and other time & attendance systems. access solutions worldwide for over 12 years. Toye Corporation manufactures PC-based access control systems from the very small and simple to very large systems in multiple buildings. Our software includes asset tracking, full elevator control, alarm monitoring with audio and/or video annunciation, logical access, extensive parking management including antipassback, valet exemption, nesting, Tenant Reserved Space Management, Tenant Billing with positive posting, and Occupancy/Traffic counters; control via LAN/WAN/Internet, I.D. Badging, Who is In/Out tracking, and card use debiting. Toye software is provided in many versions depending in the requirements. Brand names include Access Central, Access Anywhere, and Access Anywhere for Windows. 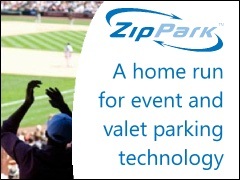 ZipPark provides automation technology to the event and valet parking industry. Its broad line of products leverages leading-edge technologies to address the specific needs of valet, event, and gateless parking operations in all major verticals including airports, hotels, casinos, malls, sporting venues, hospitals, and municipal garages. Markets Served: Event and valet parking for airports, hotels, casinos, malls, sporting venues, hospitals, and municipal garages.